Greetings fellow Aviators - I have been flying since 1970, licensed in 1974, and flying my 1966 Cherokee 180C for the past 34 years. It has been a great airplane, comfortable, capable, and AFFORDABLE on a teachers salary. Over time, I designed the paint in 1985, gave it a new interior, updated the tail beacon, reconfigured the panel, installed a factory zero time O-360-A4A, updated the avionics, and yesterday completed the installation of a TruTrak Vizion autopilot. 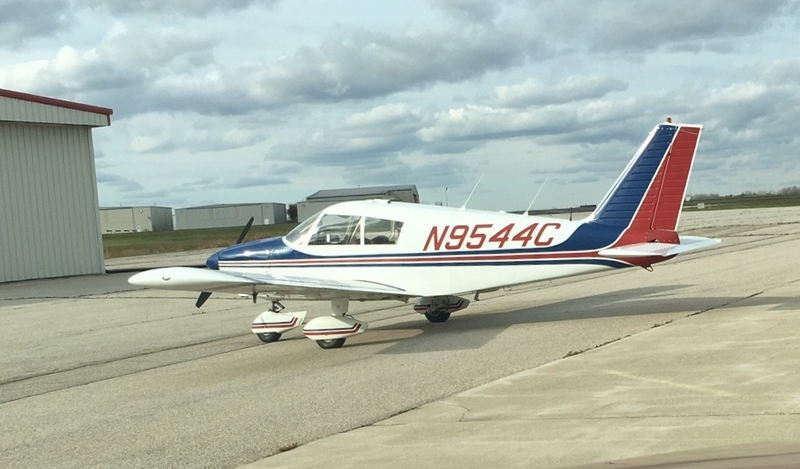 The aircraft is hangared at Kenosha Regional Airport, Wisconsin. I am semi-retired from public science education and industrial training, Current CFI, Commercial ASEL, Commercial Rotorcraft Helicopter, and Remote Pilot, all as a hobby for enjoyment and to improve my skill as an aviator. Mike, nice to meet you. Very nice looking 180C. Awesome to have you and your 34 years of ownership experience on the forum. Welcome. Very nice, Mike! I'm based at Burlington (BUU), just a few minutes from you. I'm looking forward to meeting you!